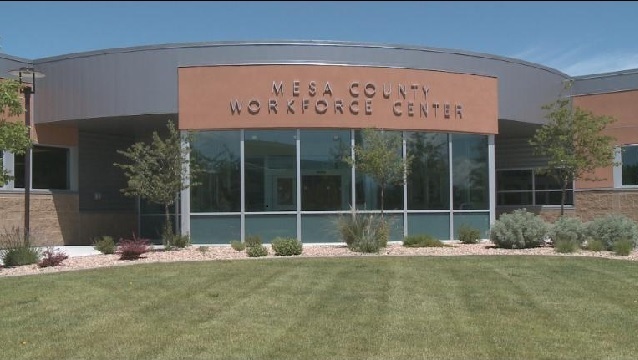 November 29, 2016 – In GJEP’s November “Economic Focus” in The Daily Sentinel, Penny Stine spoke with director John Flanagan and manager Curtis Engelhart of the Mesa County Workforce Center about the ACT Work Ready Community Initiative. “Job applicants at the workforce center take a series of tests that measure skills in reading, math and locating information, which are necessary skills for most jobs. Test takers can score at various levels of competency, with bronze, silver, gold and platinum designations for those who obtain competency. The workforce center has been using the tests for years and has accumulated good data about the local workforce. ‘Over the last five years, 92 percent of our test takers have tested at the silver level,’ said Curtis Englehart, workforce center manager. Employers interested in WRCI certified employees need only fill out a form on the ACT website indicating their support. Employers can also take it a step further and partner with the workforce center who can update job profiles and provide “match-making services” between businesses and prospective employees, among many other services. To learn more about WRCI and the other services provided by the Mesa County Workforce Center, employers are invited to attend a business breakfast at the center tomorrow, Nov. 30 from, 7:30 to 9 a.m.
Read the full article from The Daily Sentinel, Sunday, November 20, here.